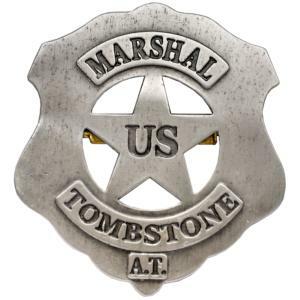 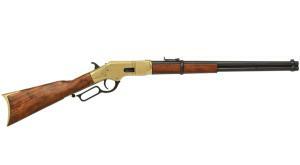 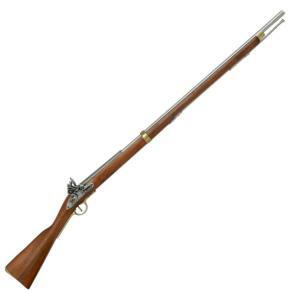 Used by the British Empire from 1853 to 1867 also used by both the North and the South in the American Civil War. 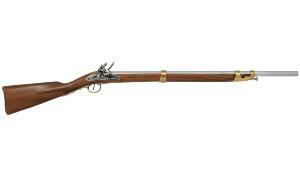 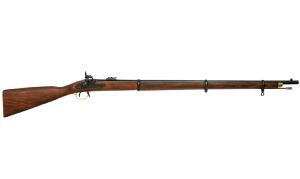 The long serving 'Brown Bess' rifle was used widely by both British and, at one stage, US forces. 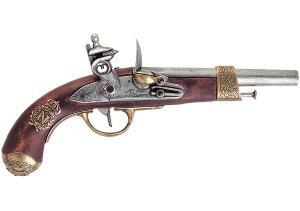 This variant was in use between 1799 and 1815, the period of the Napoleonic Wars. 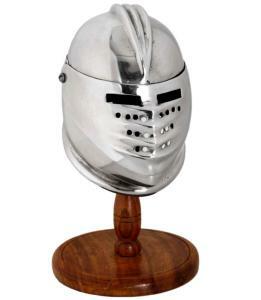 Full size steel helmet with red plumb and wooden stand. 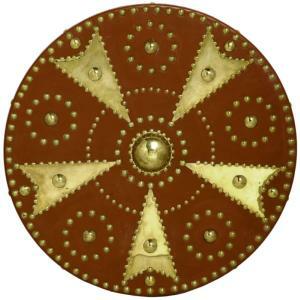 Full size Scottish Targe made from brass, wood and leather with carrying handle to rear. 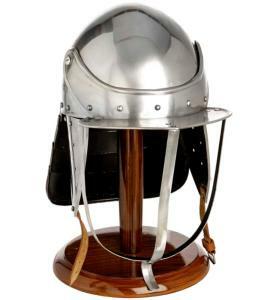 Full size steel and brass helmet with wooden stand. 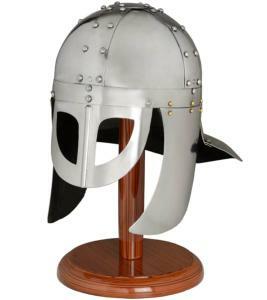 Full size Late 3rd Century AD Roman Cavalry helmet similar to the Niederbieber types. 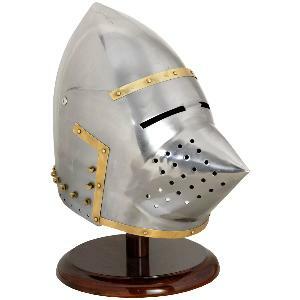 Brass helmet with hole to crown of helmet which plumb can be fitted. 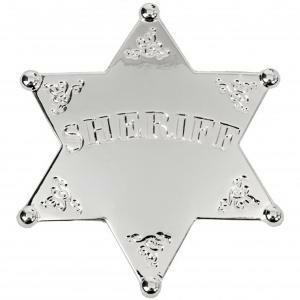 Stand not included. 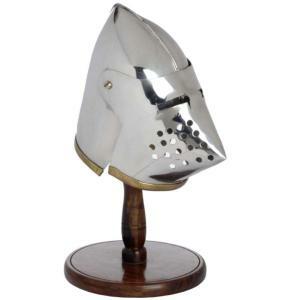 Full size polished steel helmet as worn by Cromwell's New Model Army, complete with wooden stand. 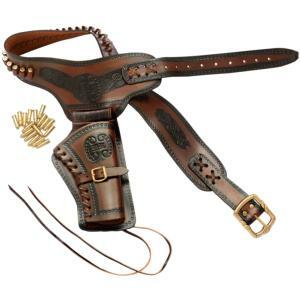 Please note when ordering this item please select the Credit cards with Actinic payments option and not Pay-pal as guns and accessories cannot be purchased using Pay-pal. Full size steel helmet with brass trim complete with wooden stand. 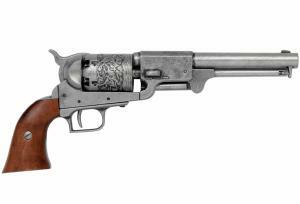 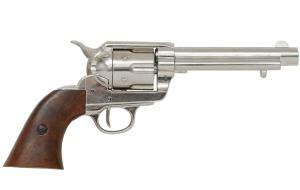 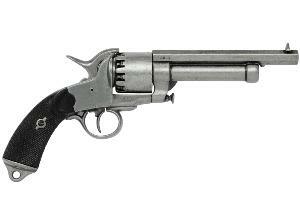 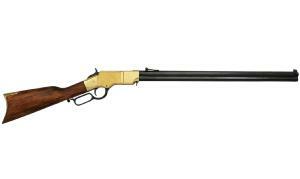 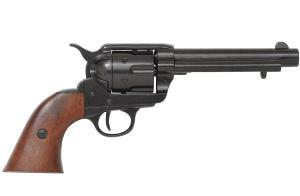 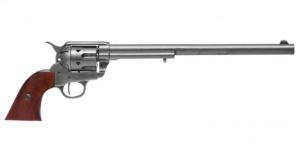 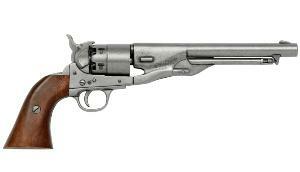 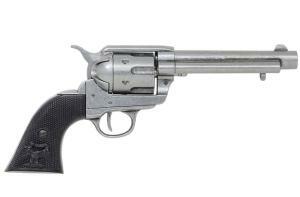 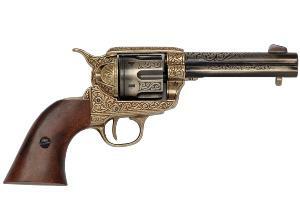 Code: G1303 Replica Peacemaker revolver 12"
The Colt Dragoon were issued in pairs to the U.S. Cavalry, designed for killing the mounts of charging enemy troopers. 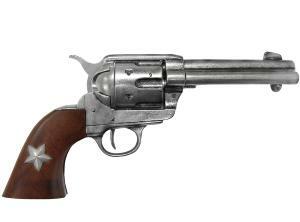 This revolver had a long and distinguished history including its use in the American Civil War. 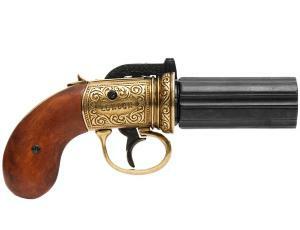 Reproduction of the six barrel pepper-box revolver made of metal with wooden grips with firing mechanism and rotating barrels. 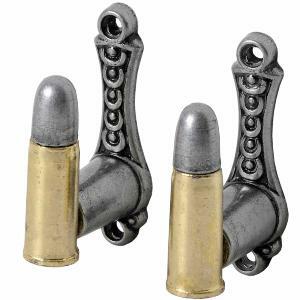 For wall mounting rifles and pistols, can also be used as coat, key hooks etc. 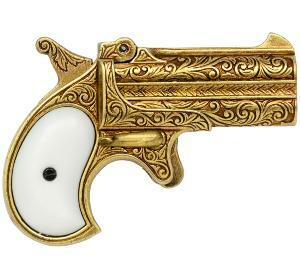 Please note because replica bullets have to be sent by courier postage will be in the region of £10, it may be a good idea to order these items along with another item to save on postage. 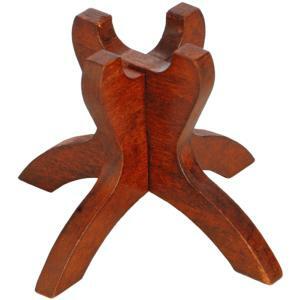 small wooden pistol stand for displaying pistols and flintlocks, pistol not included. 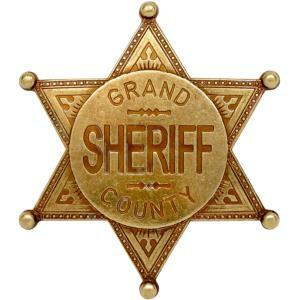 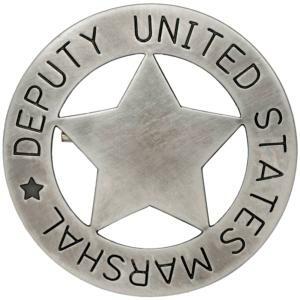 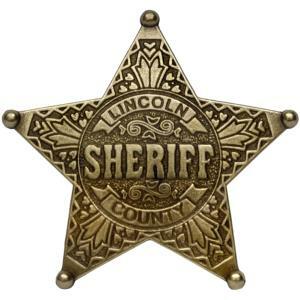 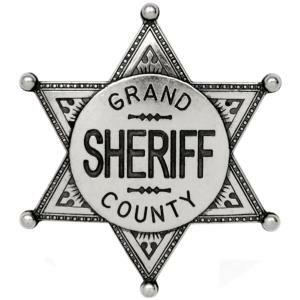 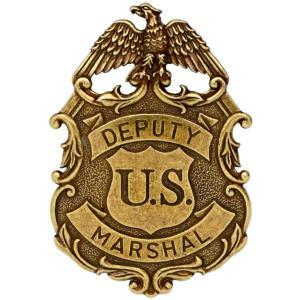 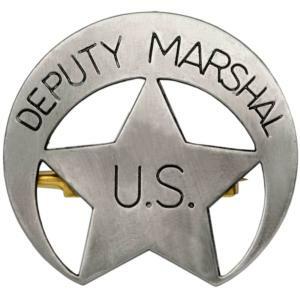 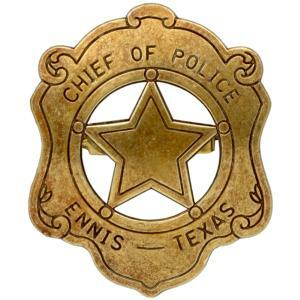 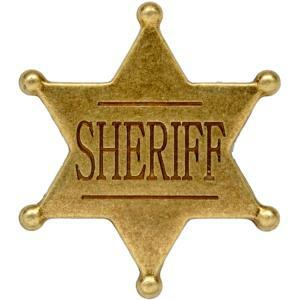 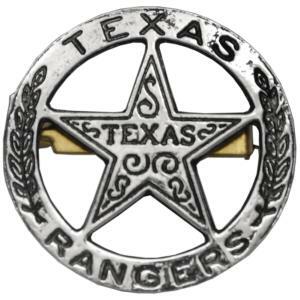 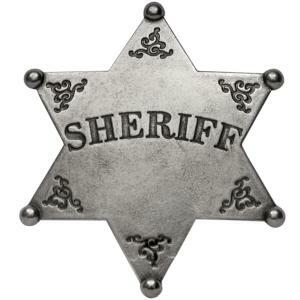 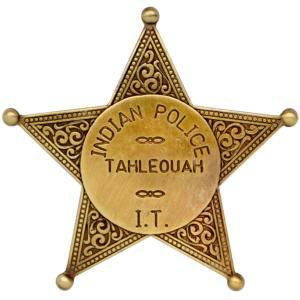 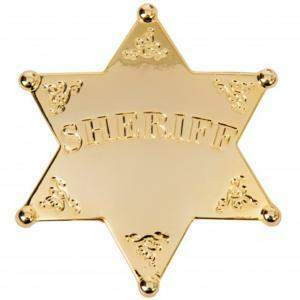 Gold plated metal pin back badge.